High resolution imagery from the Lunar Orbiter program, forgotten for 46 years, has been retrieved from original data tapes. 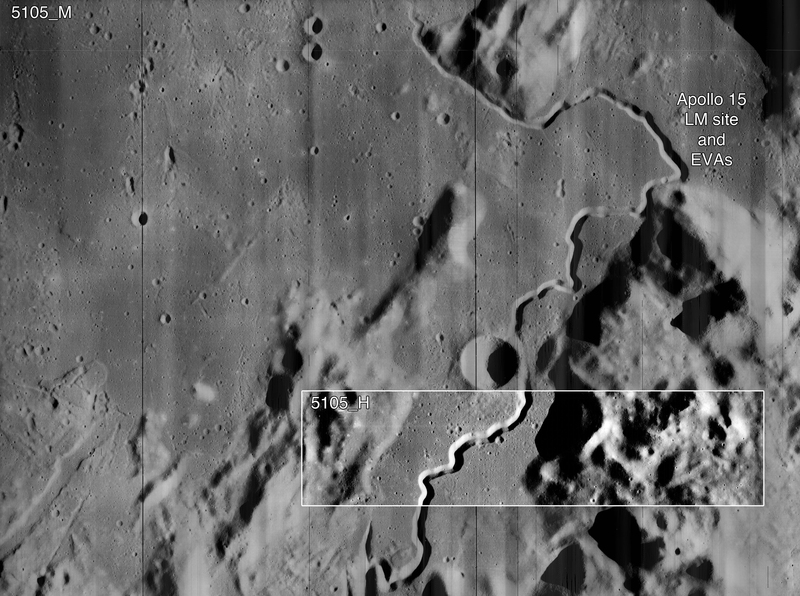 The five Lunar Orbiter missions, flown between 1966 and 1967, were rather heavily documented. This extensive documentation has helped us at the Lunar Orbiter Image Recovery Project (LOIRP) to locate images on the original analog data tapes and retrieve them at a resolution that was impossible in the 1960s. While the Lunar Orbiter program was methodical in documenting everything, every now and then imagery slipped through the crack. Often times the misplaced images are unremarkable and incomplete. However, in this case, we have found complete high resolution imagery of a location close to the Apollo 15 landing site at Hadley Rille. The imagery we have uncovered is number 5105 taken by Lunar Orbiter V in 1967. 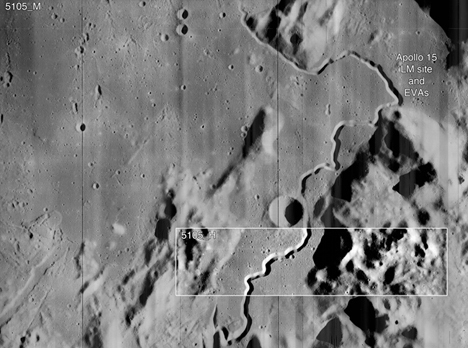 If you check the authoritative LPI Lunar Orbiter image database you will see that only a medium resolution version of image 5105 is online. 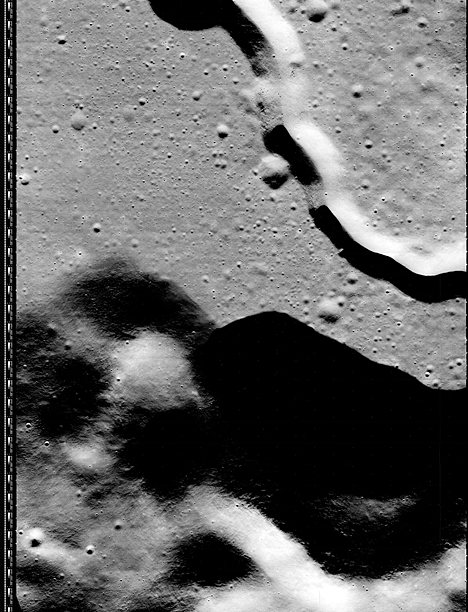 Similarly the equally authoritative USGS only has this medium resolution image as well. High resolution images of 5105 are not online and do not appear in project documentation – except for databases that show all images that were sent back to Earth. As such, it is safe to assume that no one has seen this high resolution imagery for over 46 years. Given that this imagery is absent from Lunar Orbiter image databases, it is probable that only a few people ever saw this imagery back when it was first received on Earth. 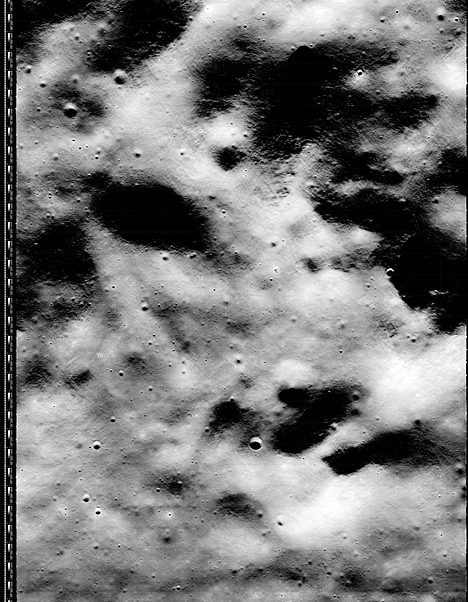 The medium resolution image was taken on 14 August 1967 at 12:41:02.83 UTC. The high resolution imagery was taken just before the medium resolution image at 12:41:02.71 UTC. Both images were taken from an altitude of 131.5 miles. The resolution of the raw imagery is 2.2 meters/pixel. 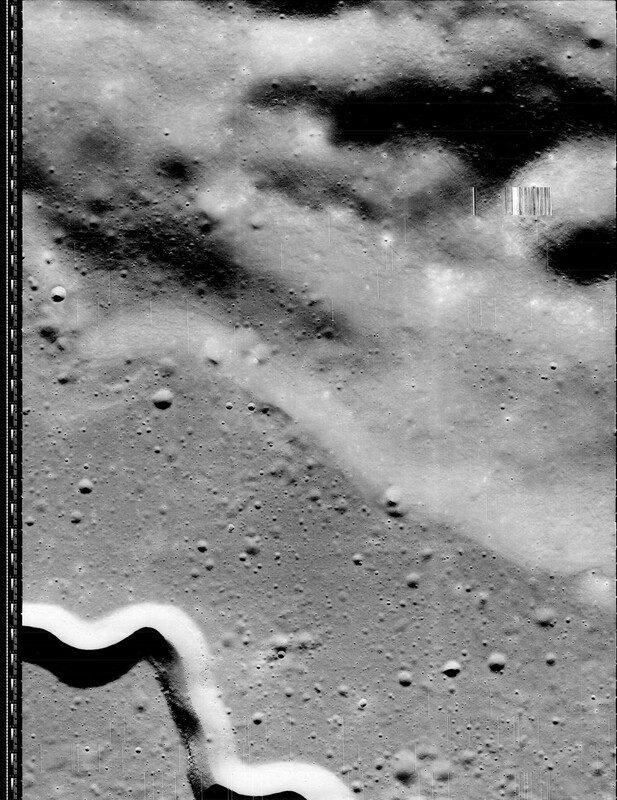 As you can see from the medium resolution image, the high resolution imagery was taken a short distance away from where the Apollo 15 astronauts conducted their lunar surface traverses in the summer of 1971 – almost exactly 4 years after this imagery was obtained. Click on image to enlarge: note we will post the raw files at NLSI once the government shutdown is over and their servers come back online.